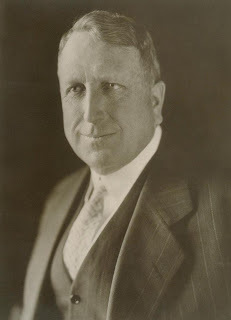 A lot of things have been said about William Randolph Hearst. He was the inspiration for Orson Welles' Citizen Kane, so that ought to tell you something. He was maniacal, driven, ruthless, and quite a bit shady--and by all appearances, he was also in love with one woman for a huge portion of his life. Only problem? That woman was not his wife, Millicent, whom he married in 1903. Whoops. Hearst's long-time "companion" was Marion Davies, a very beautiful show girl and movie star. Hearst and Davies met in 1918, and she was very shortly starring in a movie backed by Hearst money (she'd been in two others already). It was the beginning of a long, long pattern. Hearst so believed in his girlfriend that he backed picture after picture for her, and pushed reviewers at his many newspapers to sing her praises. The bummer is that he probably did more harm than good for Davies. For one thing, he liked her in big, dramatic historical pieces, when her talent was really comedy. Yeah, way to be tuned in to your girl, dude. Between Davies filming an average of three movies a year, and Hearst's incessant publicity blitzes, they held court at San Simeon, also known as Hearst Castle. It's a 60,000 square foot mansion, yo! 60K! I can't even wrap my head around that, personally. And that's just the main building--including three quest houses it's more than 90 THOUSAND square feet. Fifty-six bedrooms. I don't think I even have 56 pairs of socks. Hooch flowed freely at San Simeon (but drinking to insensibility was not tolerated), and Davies and Hearst hosted a crush of parties, with the guest lists consisting of a who's-who in Hollywood--Clark Gable, Cary Grant, Jean Harlow. Seen a movie from the 20s or 30s? The actors were probably guests at San Simeon at some point. 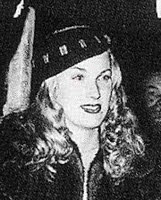 Marion and Hearst supposedly had a child, Patricia Van Cleve, who was raised as Marion's "niece" for most of her life. The details of Thomas Ince's death are clouded in mystery. 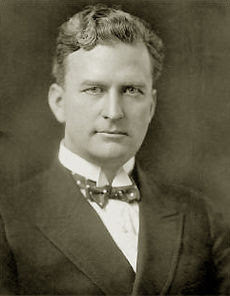 Here's what's acknowledged as fact: On November 16, 1924, Ince joined Hearst and Davies aboard the yacht, The Oneida. Among the guests were Louella Parsons and Charlie Chaplin. On November 19th, Ince left the Oneida in physical distress. 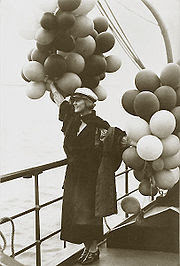 Marion Davies waving hello to Thomas Ince from the deck of the Oneida. There seem to be as many unofficial stories as there were mouths on that boat. Hearst caught Davies and Chaplin "in an intimate embrace" (I've always wondered--does that mean kissing, or some bow-chicka-wow-wow?) and Ince was caught in the crossfire when yelling and shouting drew attention. Hearst walked in on Ince and Davies in a dark room and simply assumed the other man was Chaplin. Ince caught a stray bullet that went through a wall. In drama that seems to be unrelated (but it's hard to tell in this mess), Abigail Kinsolving, Davies's secretary, claimed that Ince raped her but made no connection to his later death. Kinsolving had a baby a few months later, and after that died under suspicious circumstances, so it's hard to tell if that's truth or she was grabbing a dead man as a fall guy. After 85 years, and the deaths of all the major players, it's a sure bet no one will ever truly solve the mystery of Ince's death. The incident didn't seem to affect Davies and Hearst's relationship in any way. They remained involved for more than 30 years, until Hearst's death in 1951. Just ten weeks after his death, Davies finally married someone--Horace Brown, who many said bore a striking resemblance to a younger Hearst. 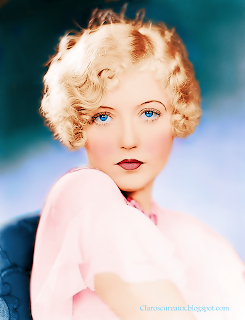 * The very super gorgeous colorized picture of Marion Davies is courtesy of Kevin Scrantz. I stumbled across his blog, Claroscureaux, when looking for the pictures, and if you're at all interested in old movies you really need to give it a peek. A lot of the colorizations I've seen have been quite garish, but Kevin has a deft touch.